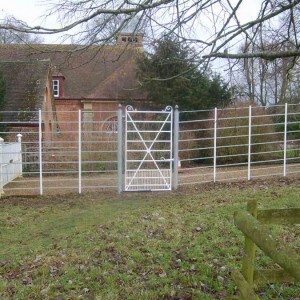 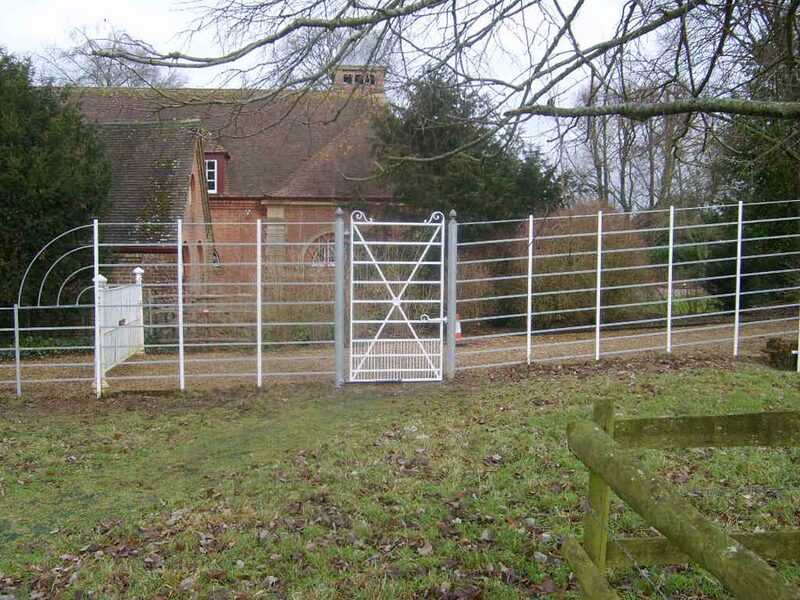 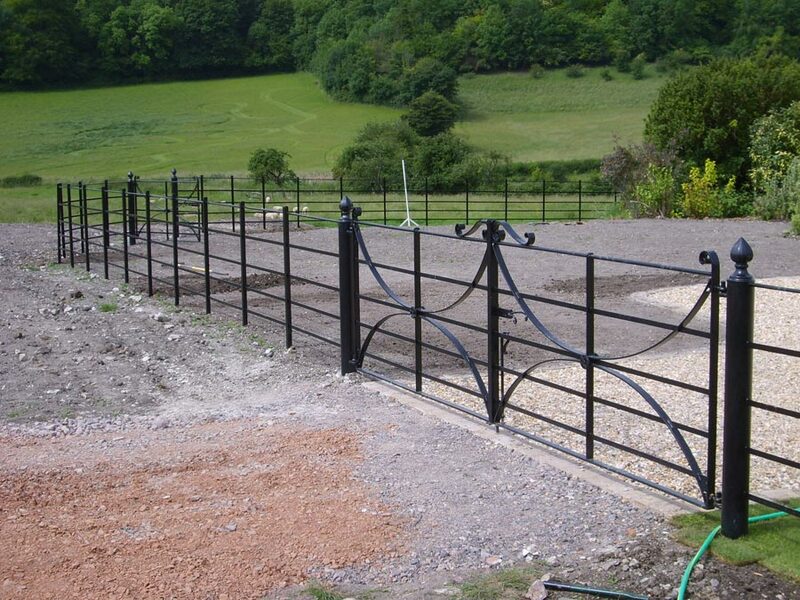 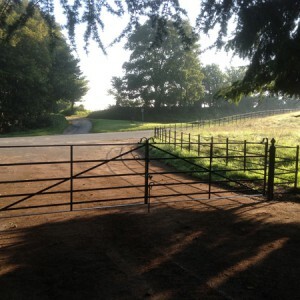 We specialise in supplying and fitting parkland railings and matching gates. 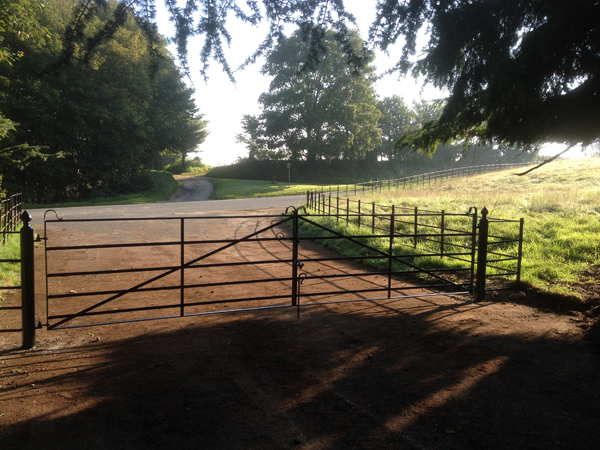 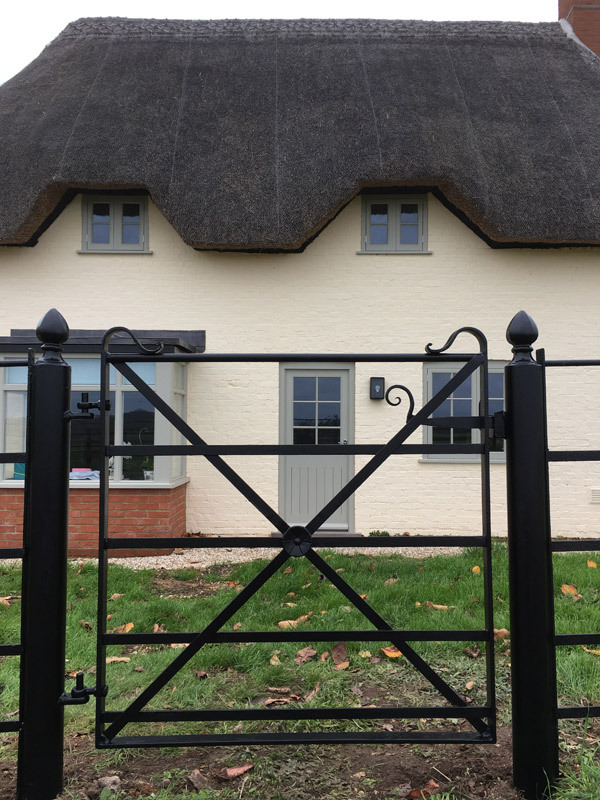 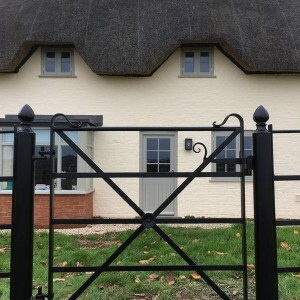 Parkland railings are well suited for country estates and equally look attractive outside country cottages and driveway entrances. 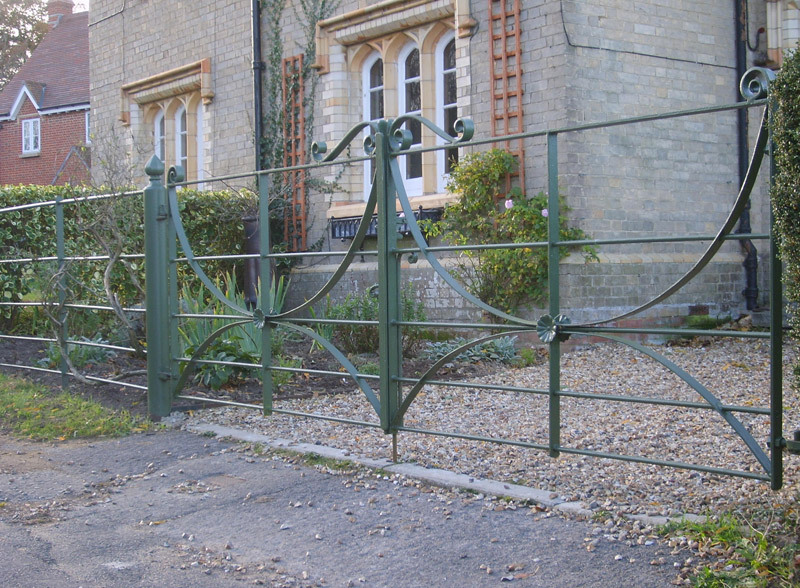 The matching gates often include hand forged scrolls and fittings. 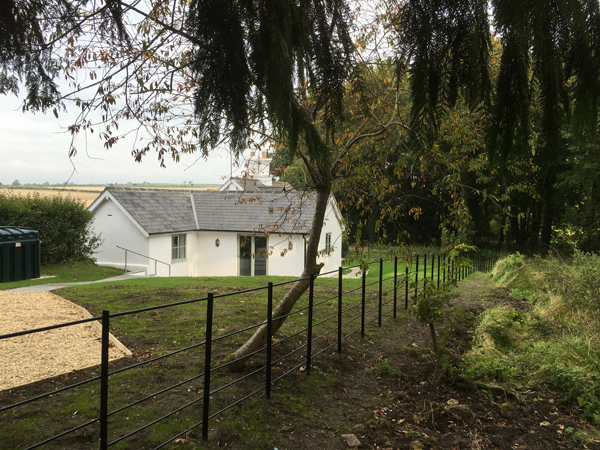 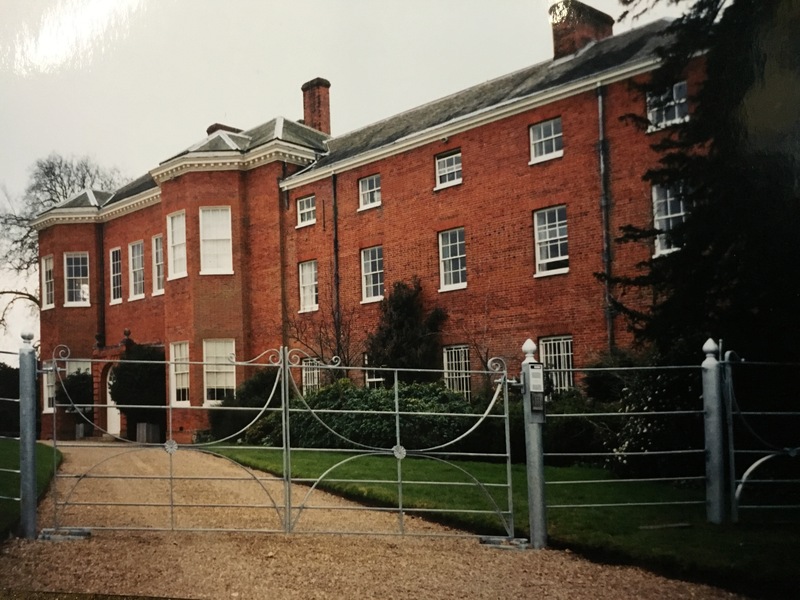 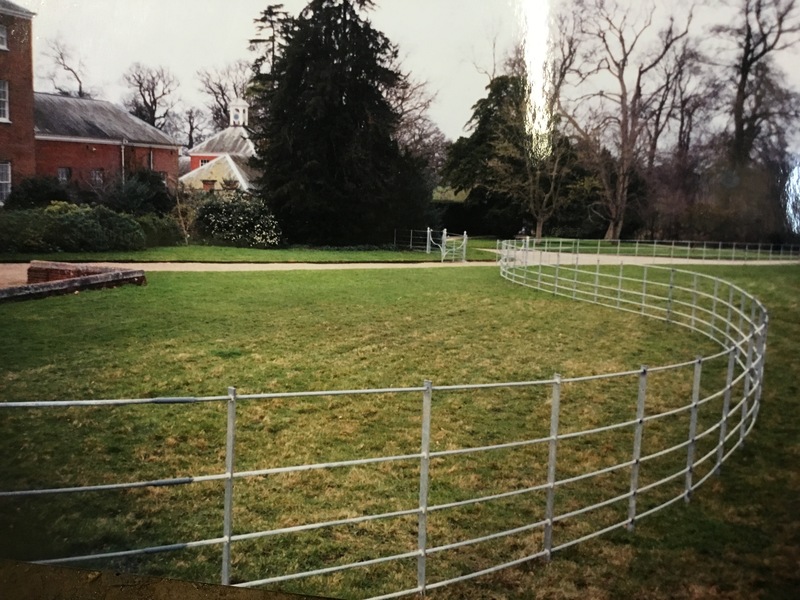 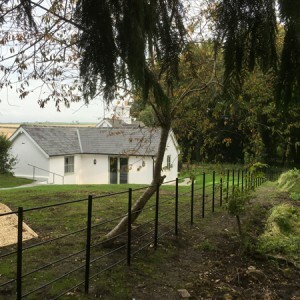 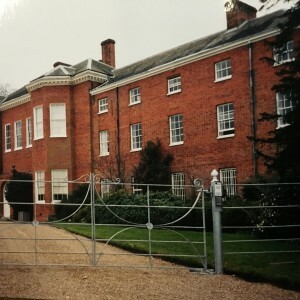 Over the years we have supplied and fitted many miles of parkland railings over the south of the country, our customers have included The National Trust, Private estates, Schools and Private individuals. 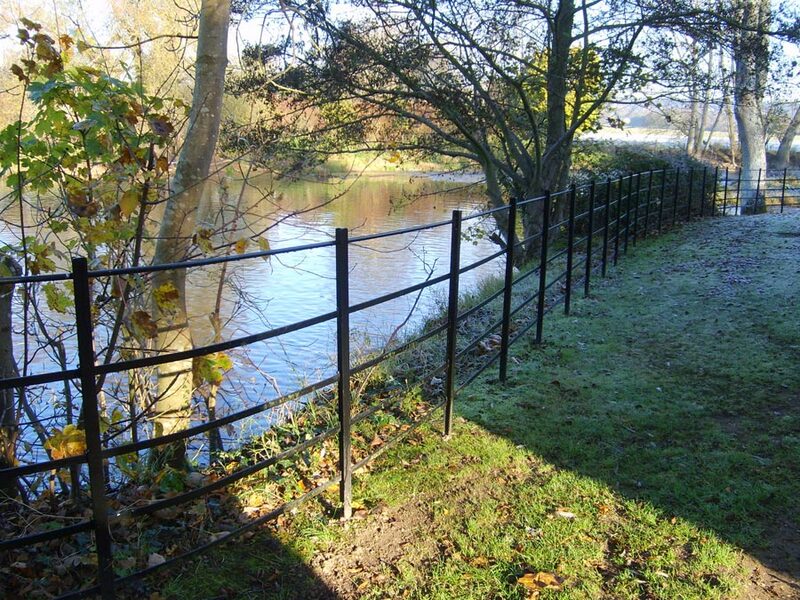 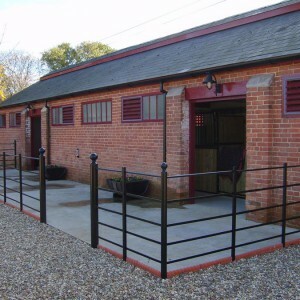 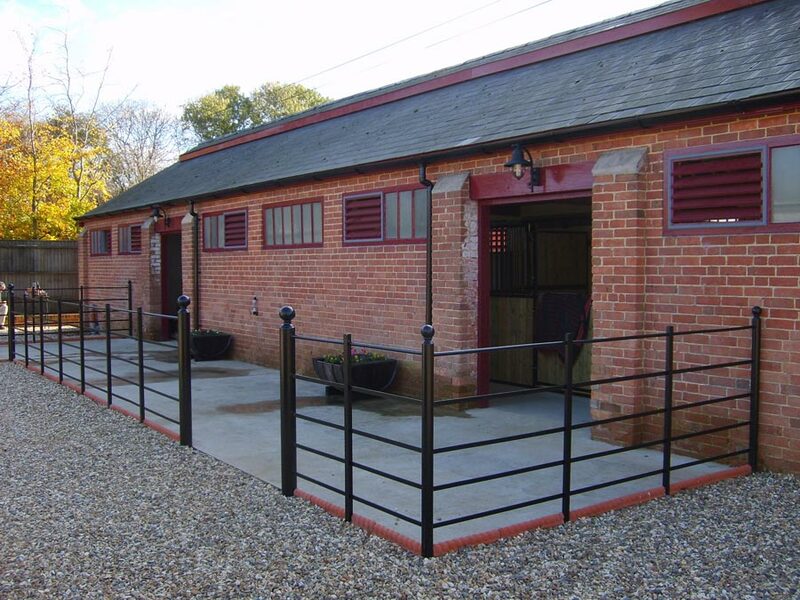 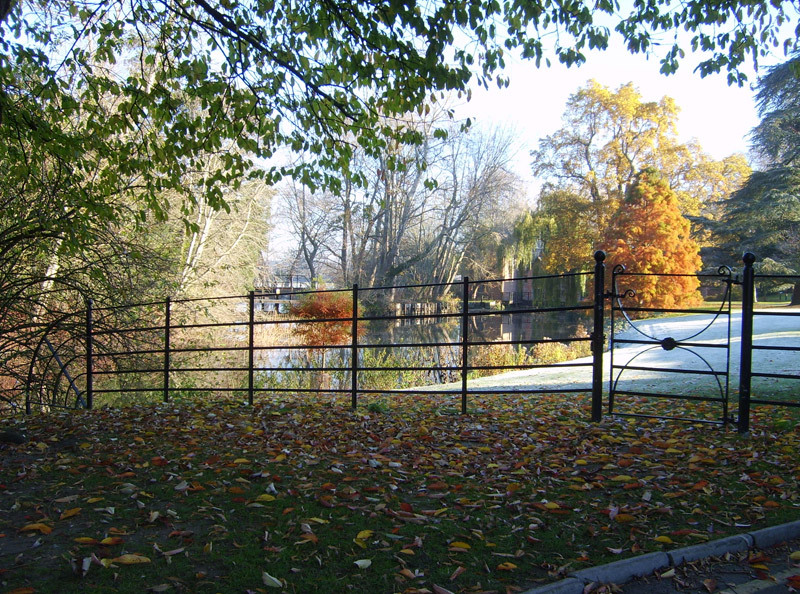 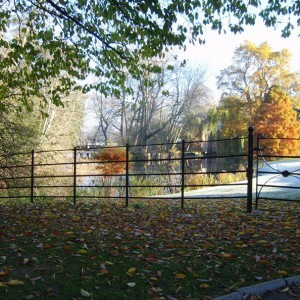 The parkland railings are made by us in several different styles and sizes to suit the particular location. 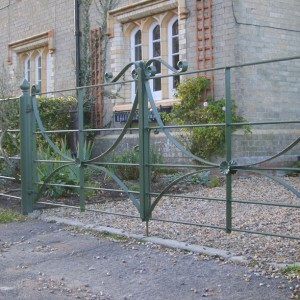 The parkland railings can be either primed and painted in a choice of colours . 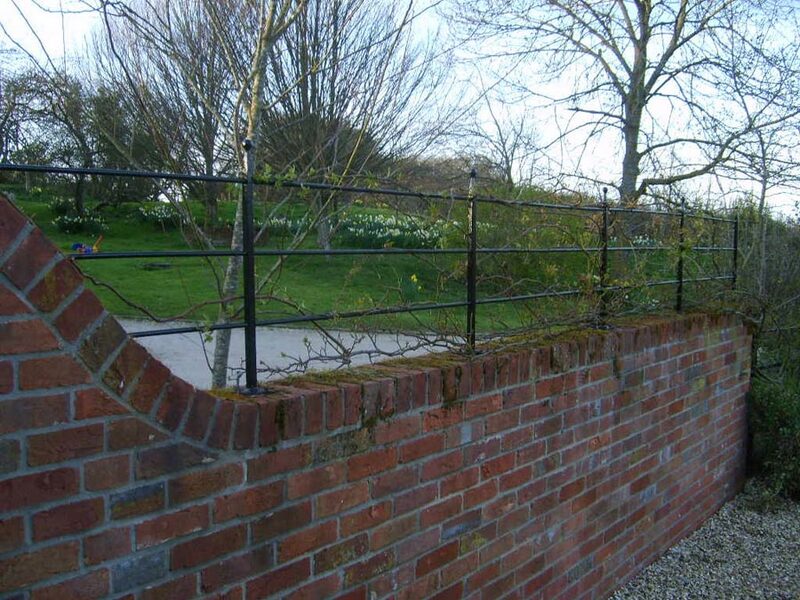 For an additional cost we can provide a galvanising service which help protect the metal from rust. 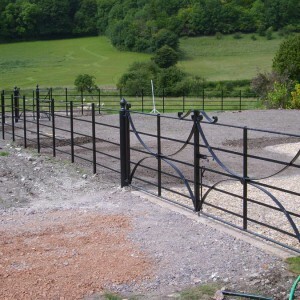 Our usual design of parkland railings consist of T section posts which are driven 400mm into the ground. 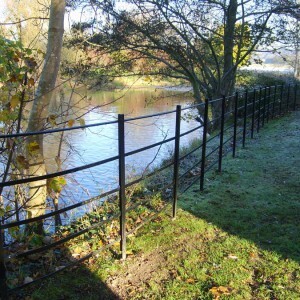 The posts are usually 1m100 above the level of the ground. 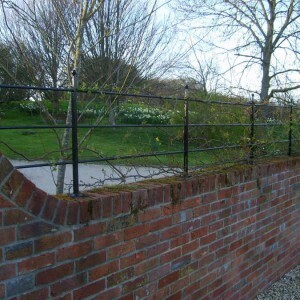 The top bar is made using 16mm round solid bar and below four 25mm x 6mm flat bars. 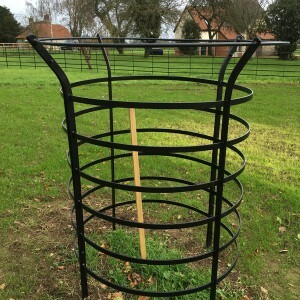 We also manufacture tree guards in different shapes and sizes. 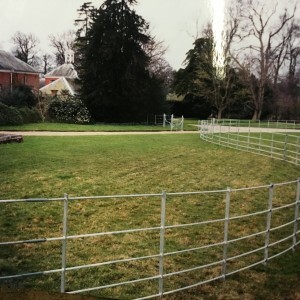 The tree guards are made in two halves which are easily bolted together on site around the tree. 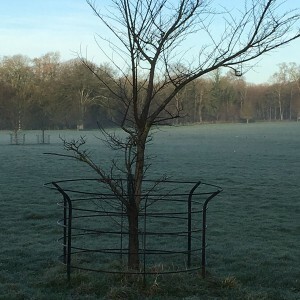 The tree guard is then pushed into the ground. 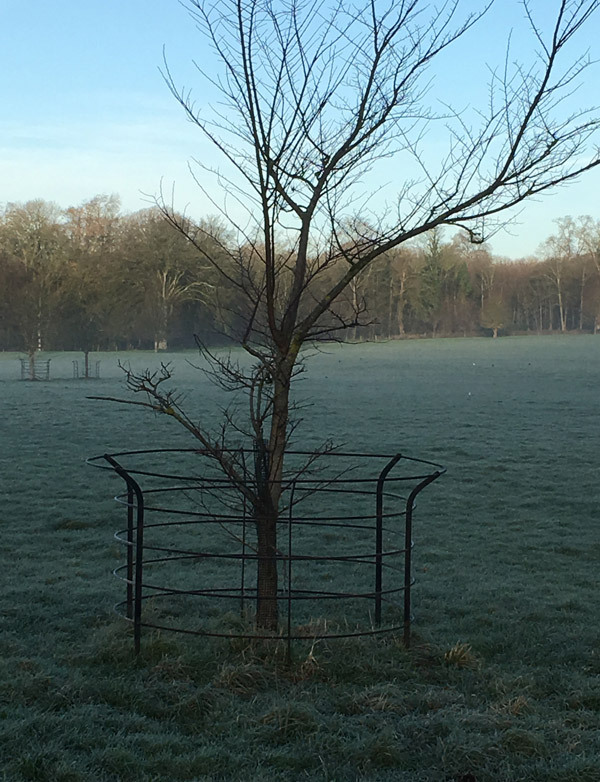 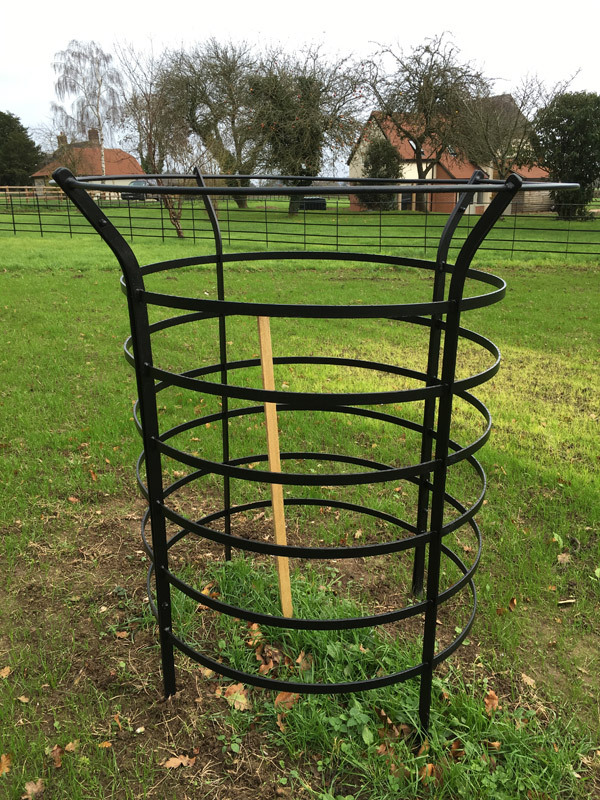 Tree guards are a very attractive addition to any country park or even in a domestic garden.